Want to Stay Sane and Stay Together? | Resources to help your relationship & parenting thrive, not just survive! Seriously?!?! The “best” thing we can do for our kids is to have a good relationship with our partners? That’s fine in theory, but what if our relationship is just okay, or sometimes good with long periods of mediocrity, or mostly bad with occasional moments of happiness? What then? Plus, how can I find time to nurture a happy relationship when I barely have time to parent my kids? Many of us once dreamed of having a family with our partners. Now that our children are here, we spend so much time dealing with their needs, with work demands, and day-to-day life, that we have little or nothing left over for our spouses (not to mention ourselves). Relationships often become secondary, even dispensable. For many parents, romantic relationships just aren’t all that “romantic” anymore. Yet research consistently shows that parents with better quality relationships have better-adjusted kids. The poorer the quality of our relationships with each other, the more negative developmental outcomes we see in children and teens across a range of variables, e.g., physical health, academic success, psychological and social outcomes. There’s research to suggest this holds true across racial, ethnic and socioeconomic lines. That brings us back to the question: How can we find time to cultivate a happy relationship when we barely have time to parent our kids? By doing both at once or, more precisely, by understanding that the positive outcomes in one area (relationship fulfillment) support positive outcomes in the other (parenting and our kids’ wellbeing). I know this sounds counter-intuitive. After all, we live in a culture obsessed with prioritizing and analyzing parenting–as evidenced by the sheer glut of parenting books out there. Don’t get me wrong; conscious, positive parenting is a wonderful and important area to focus on…but not when it creates or reinforces discord in our love relationships. Now, I don’t believe you have to be in a relationship to support your children’s health (I see you single parents! )), or that all relationships are worth saving, or that all parents treat their relationships as secondary to parenting. Some of you are honoring both amazingly well. I do, however, believe that for the vast majority of parents raising kids with a partner, there’s room to improve your relationship with each other. I also believe that doing so will improve your parenting. Start small (a.k.a. “The 10% Rule”) When thinking of ways to enhance relationship fulfillment, instead of aiming for a big activity or gesture, something that demands 100% focus and effort on your part (e.g., planning a romantic vacation without kids) expend 10% of your precious energy to come up with something you can do now, or soon, something you will actually make happen (e.g., a candlelit takeout dinner after the kids go to bed). The goal is to set yourself up for small wins that infuse your relationship with positive energy immediately. And to create changes that are easy enough to repeat often. Ask: “What’s important to you about that?” It’s a simple yet powerful question, especially when you and your partner disagree. Instead of rejecting his or her opinion, or arguing for yours, just pause, take off your judge-and-jury hat, and get genuinely curious about what s/he is saying. This is especially helpful even, and especially, when you’re convinced you’re right and that your approach is vastly superior. When we get curious about what’s important to our partners, we’re more likely to avoid arguments and better understand their perspective. Fewer fights and greater mutual understanding usually lead to more warm and fuzzy feelings for each other. Get to the heart of your complaint I think of complaints as the hard candy that protects the yummy chewy center of a tootsie pop; complaints cover the sweet spot. By focusing on complaints—“you don’t help enough with the kids,” “you work too much,” “you never compliment me”—we further alienate our partners by pointing fingers and criticizing. If we get to the core of what’s upsetting us, if we figure out the need, request, or hope that our complaint points to—“I want us to be a parenting team;” “l miss you and wish you were around more;” “I’m feeling insecure and would appreciate your input so I can feel more confident”—then we’re both far more likely to get our needs met and feel more understood. Now for the (slightly) bad news—as great as these tips might be, there is no quick fix to relationship dissatisfaction, and no one-size-fits-all way to maintain relationship fulfillment. The good—no wait, the great—news is that devoting time and energy to improving and, then, maintaining our relationship quality delivers payoffs to us and our kids. Over and over again. So if you need a “good parenting” excuse to rekindle the romance in your relationship, and reconnect with the partner with whom you dreamed of having a joyous family life, take the time to reconnect with each other. If you won’t do it for your relationship or for yourself, then do it for your kids! They’ll thank you in the long run. It was a pleasure to interview Kara Rowley, a Licensed Midwife and Fertility Specialist, who helps women and couples across the United States find the root causes of fertility challenges, and maximize women’s health prenatally, during childbirth and postpartum. Kara shares quite a few gems about her unique process–which includes working with labs across the country and testing clients for factors often overlooked by other fertility professionals, One such gem is that there’s a link between the severity of a woman’s PMS symptoms and the severity of perinatal mood and anxiety disorders, like postpartum depression. Click here listen to my interview with Kara. To contact Kara for a complimentary 20-minute consult, visit her website: Vibrant Health Healing. Long way of saying–so to speak–that I believe that both interviews highlighted in today’s post are well worth your time. The first is with yours truly by mom-coach Valerie Friedlander of Motherhood Unlimited, a FREE online event that runs from September 19 to October 11. My interview–“How To Nurture A Thriving Relationship And Why Your Kids Need You To”– airs on September 26. Valerie has put together a stellar group of parenting professionals, all of whom share insights designed to make parents’ (with a special focus on moms’) lives easier and more satisfying. Sign up for the whole interview series at Motherhood Unlimited. One of my favorite interviews for Parent Alliance was with Austin-based couples therapist, John Howard, who studied with Dr. Stan Tatkin, the author of Wired for Love. In John’s work with couples, with a special focus on parents, he applies the latest research in neuroscience to relationship dynamics. Not only does our interview confirm that John is accessible and informative, he’s also generous with some great tips for couples to increase intimacy and fulfillment, and better understand the individual baggage we bring to our love lives. Enjoy: The New Science of Relationships with John Howard. Seriously?!?! The “best” thing we can do for our kids is to have a good relationship with our partners? That’s fine in theory, but what if our relationship is just okay, or good sometimes with long periods of mediocrity, or mostly bad with occasional moments of happiness? What then? Plus, how can I find time to nurture a happy relationship when I barely have time to parent my kids? While many of us once dreamed of having a a family, now that our children have actually arrived, we spend so much time dealing with our kids’ needs, with work demands, and with day-to-day life, that we have little or nothing left over for our spouses (not to mention ourselves). Our relationships become secondary, even dispensable. For many parents, romantic relationships just aren’t all that “romantic” anymore. Yet research shows consistently that parents with better quality relationships have better-adjusted kids. The poorer the quality of our relationships with each other, the more negative developmental outcomes we see in children across a range of variables, including physical health, academic success, and psychological and social outcomes. And this holds true across racial, ethnic and socioeconomic lines. So, that brings us back to the same question: How can we find time to cultivate our relationship when we barely have time to parent our kids? By doing both at once or, more precisely, by letting the positive outcomes of one (relationship fulfillment) lead to positive outcomes of the other (good parenting). I know this sounds counter-intuitive. After all, we live in a culture obsessed with prioritizing parenting, which is wonderful but not when it creates, or reinforces, discord in our love relationships. Now, that said, I don’t believe you have to be in a relationship to support your children’s health (I see you single parents! ), or that all relationships are worth saving, or that all parents treat their relationships as secondary to parenting (some of you are balancing both amazingly well!). I do believe, however, that for the vast majority of parents raising kids with a partner, there’s room to improve your relationship with each other and doing so will also improve your parenting. So how can you start to improve your parenting? When thinking of ways to enhance relationship fulfillment, instead of aiming for a big activity or gesture, something that demands 100% focus and effort on your part (e.g., planning a romantic vacation without your kids) expend 10% of your precious energy to come up with something you can do now, or soon, something you actually make happen (e.g., a candlelit takeout dinner after the kids go to bed). The goal is to set yourself up for small wins that immediately infuse your relationship with positive energy. And to create changes that are easy enough to repeat often. It’s a simple yet powerful question, especially when you and your partner disagree. Instead of rejecting your partner’s opinion, or arguing for yours, just pause, take off your judge-and-jury hat, and get genuinely curious about what s/he is saying. This is especially helpful even, and especially, when you’re convinced you’re right and that your approach is vastly superior. When we get curious about what’s important to our partners, we’re more likely to avoid arguments and better understand their perspective. Fewer fights and greater mutual understanding usually lead to more warm and fuzzy feelings for each other. I often think of complaints being like Tootsie-pops; they’re the hard candy that protects the chewy center, which is what we want to get to; complaints cover what matters most. By focusing on our complaints—“you don’t help enough with the kids,” “you work too much,” “you never compliment me”—we often further alienate our partners by pointing fingers and blaming. By contrast, if we try to get to the core of what’s upsetting us (or them if they’re the ones complaining), to the need, request, or hope that complaint points to—“I want us to be a great parenting team;” “l miss you and wish you were around more;” “I’m feeling insecure and would appreciate your support to feel more confident”—then we’re each far more likely to get our needs met and to feel more understood. Now for the (slightly) bad news: As great as these tips might be, there simply is no quick fix to relationship dissatisfaction, and no one-size-fits-all way to maintain relationship fulfillment once we’re lucky enough to achieve it. The good—no wait, the great—news is that devoting time and energy to improving and, then, maintaining our relationship quality delivers payoffs for us and for our amazing children. So if you need a “good parenting” excuse to rekindle the romance in your relationship, and to reconnect with the partner with whom you dreamed of having a happy family life, try out one of the tips suggested. While I hope you do it for yourself and for your partner, at the very least, please do it for your kids! A slightly revised version of this post first appeared on Your Tango. Are You Frustrated With Your Partner’s Parenting Style? If there’s ever a time in life when it helps to be on the same page with your spouse, it’s when you have kids. Faced with frequent decisions that impact our children’s wellbeing, parenting is hard enough without spending precious time and energy disagreeing. Yet even if we both start off wanting kids, once our children arrive, parenting styles and priorities sometimes diverge. Why do we part ways around parenting? The very differences that drew us together, as a couple, pull us apart as parents. For example: You love your wife’s free spirit, but think she lets your kids get away with way too much. Based on the information we had before our kids arrived, we thought we were aligned but weren’t. For example: You agreed not to spoil your future-children, but forgot to define your terms. You believe spoiling is about things—toys, clothes—whereas your husband equates it with emotional coddling. We discover parenting strategies after we have kids. For example: When you were pregnant, you agreed to sleep train your daughter at 6 months. After she arrived, you thought sleep training barbaric, while your spouse saw it as crucial to everyone’s survival. Perfectly matched parenting styles sound great in an ideal world, but in reality we disagree. The goal isn’t to always be in sync, but to handle differences effectively. How we deal with our parenting differences is important to, well, our parenting. Because our kids often witness our disagreements, they learn how to argue from us. (Yes, yes, it would be great if we fought beyond our kids’ earshot, but that isn’t always possible.) It’s our job to teach them how to disagree respectfully. My favorite tool for tackling different parenting styles is: Curiosity. While it might have killed the cat, genuine curiosity has saved many a marriage. I wrote genuine because curiosity is only effective when sincere, when combined with a real desire to understand your spouse’s perspective and a willingness to suspend judgment, especially if you don’t agree with that perspective. What’s important to you about your parenting strategy? I love that question. As simple as it sounds, the more we focus on what’s important to our spouse about his or her choices and suggestions, the greater our chances of finding a shared way of talking about our differences. Related questions: What outcomes do you expect in using this approach? How do you hope our kids will respond to it? In most cases, we either agree about what’s important about a particular approach or, at the very least, we’re capable of understanding why it matters to our partners. Understanding allows us to get to a place of compromise far faster than trying to prove that our way of doing things is right. Let’s say the issue you’re facing is that your 7 year old goes to your spouse if she doesn’t get the answer she wants from you and your spouse sometimes contradicts you. To remedy this problem, you propose that, as the parent who spends the most time with your daughter, you should take the lead making decisions. Your spouse thinks you should confer more. What outcome are you both looking for? That your child gets a consistent response from her parents and that you act like a united front. You differ in how to get there and what’s important to you about your proposed strategies. You want to respond to requests because you have more information about your child and, as a result, know what will work for her; plus with so little spare time, the quickest strategy is the best. Your spouse wants to be more involved in decision-making, to feel as if parenting is a collaborative venture and that he’s also responsive to your kids’ request. All understandable perspectives. All worthy of respect. Now that we understand what’s important to each of us, what do we do? 1) Pick one strategy and test it out for a period of time. Then, try the other for the same length of time. Discuss how you think each strategy worked for your child and for you and your spouse. Continue with one of the approaches or see (2). 2) Create a hybrid strategy. Focus on satisfying what’s important to both of you, while keeping your eye on the prize of the outcome/s you want. 3) If you’re still passionately opposed to your spouse’s parenting strategy—meaning, if this is a sword you’re willing to die on—try to keep judgment at bay and explain what you’re worried will happen to your kids, or your relationship with them, or both, if you adopt your partner’s approach. Ask your spouse to either help you get through that fear or to respect it enough to let your strategy stand for the time being. It would be wonderful if our individual parenting styles always matched. But it can also be wonderful to turn our differences into a joint parenting style, one that we create together and that teaches our kids the power of collaboration and respect. 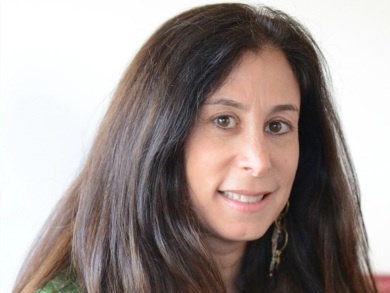 Whether you work with parents and/or kids, you’re about to have a child, or you’re a “veteran” parent, you’ll find something moving and helpful in my recent interview with dance/movement therapist and licensed professional clinical counselor, Gabrielle Kaufman. 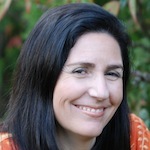 Our interview begins with a compelling discussion of the impact of inter-generational trauma on our parenting, and Kaufman’s belief (one that’s shared by many practitioners in her field), that “history is carried with us from generation to generation,” and that the “story we never get to tell gets transmitted to the next generation” for good and for bad. Kaufman offers practical tips to expecting couples and parents on how to “dance with the ghosts” from our past—both those we live with from our own childhoods and youth, as well as those from our ancestors—and how to ease the pressure we put on ourselves, and on our partners, as parents. Not only do I urge you to listen to this interview for the powerful information Kaufman provides, but also listen for the very relatable and powerful stories she conveys. If you’re already a seasoned parent, versus expecting or new to parenting, feel free to fast-forward to 15 or so minutes into the interview, though I’d hate for you to miss the great story Kaufman tells about one new mother’s sensory memory after giving birth to her son. Bottom line: I hope you enjoy this interview, as I believe it’s filled with incredible gems of wisdom for expecting couples, parents and the professionals who support families. You can listen to the interview here. If you want to download it, please click the green icon in the lower right of the audio player. Check out Gabrielle Kaufman’s website to learn more about her and her work.